Man, this one is ugly… Well, some scientists say it is actually the most magnificent vulture because of the appendages on its brightly colored head and its highly contrasted black and white plumage, but whatever. I guess it’s named “king vulture” for a reason. It’s also the vulture who has one of the strongest bill: when it approaches a large carcass to feed upon, the other animals move back. A bit like the lion male? 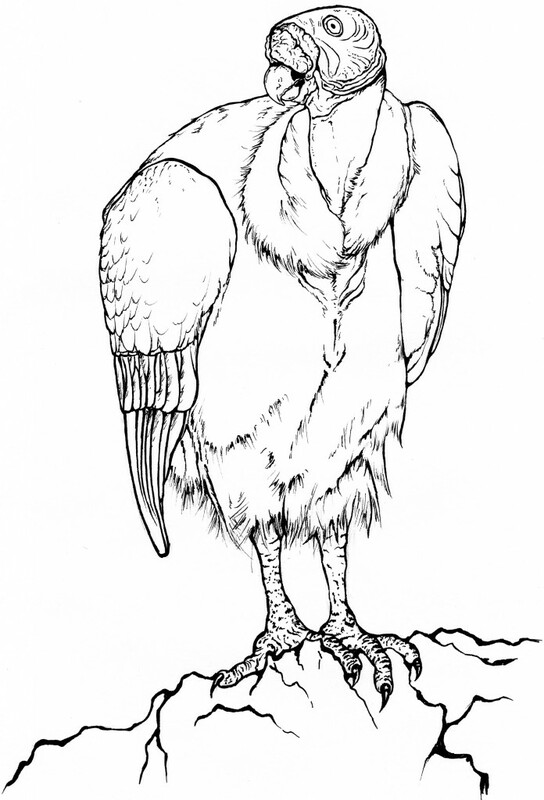 Here’s black and white line drawing of the bird. Enjoy! The french name for this bird actually means “papal vulture”. Interesting.